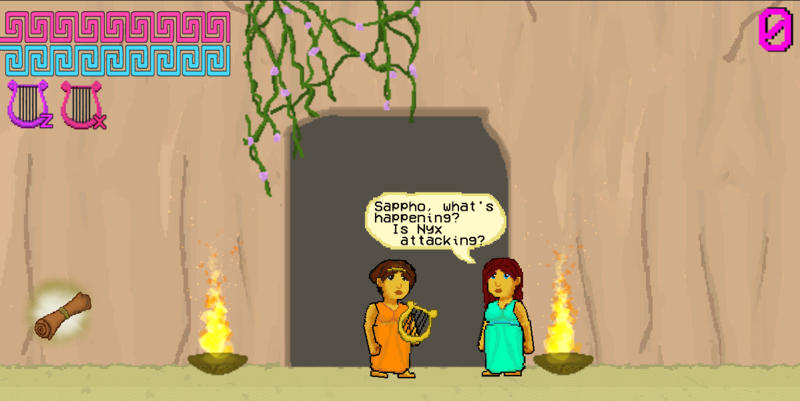 "Zombies of Lesbos" is a short action/adventure game about the ancient queer poet Sappho and her students on the island of Lesbos. When the goddess Nyx grows tired of Sappho's adoration for Aphrodite, she condemns the Island to an undead fate. Only Sappho can stop it, by bringing forth Aphrodite with her most famous poem, before time runs out. 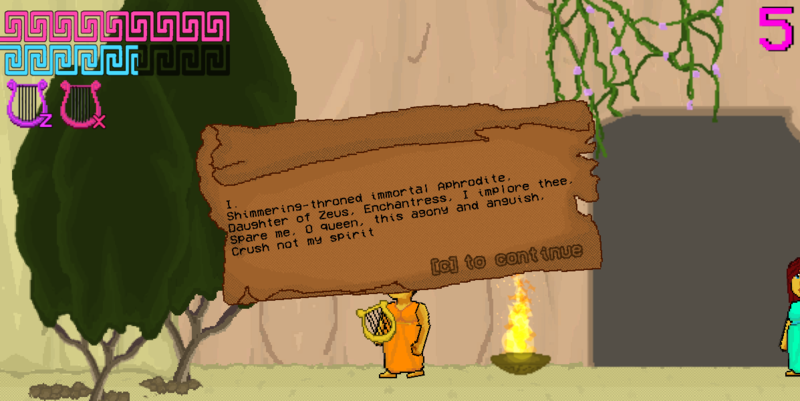 Made in Unity by @RiotJayne for #PDJam (Public Domain Jam 2) May, 2015 in 4 days. Scripting / Art / Music by @RiotJayne. Public Domain sound loops and copyright free sounds sourced online and compiled in Audacity. Public Domain translations of Sappho's poems sourced from here. Public Domain 'Undead' Zombie's concept taken from Night of the Living Dead by George Romero. Read more about the real life Sappho here. Browser: Not compatible with Google Chrome. Firefox recommended. Windows: Extract and Run Exe. Windows Update: Some were receiving a mono.dll error with the Windows version, hopefully the new builds should be fine (it seems it only happens on some machines, so it was hard to replicate) Also added a x64 bit Windows option, as I found it was less prone to errors on x64 machines.